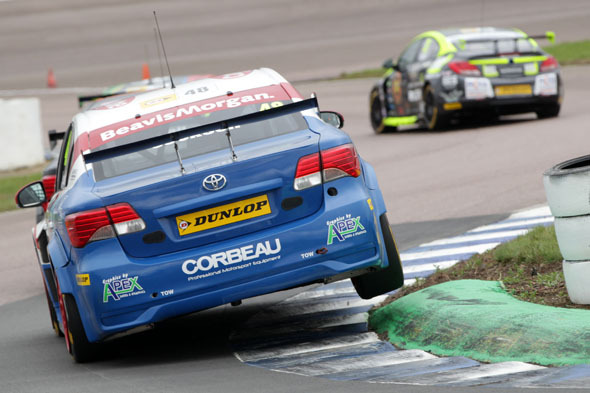 Toyota Avensis racer Dave Newsham today enjoyed his most successful outing of the BTCC season so far in terms of points scored thanks a hat-trick of top-eight finishes for Speedworks Motorsport at Rockingham. 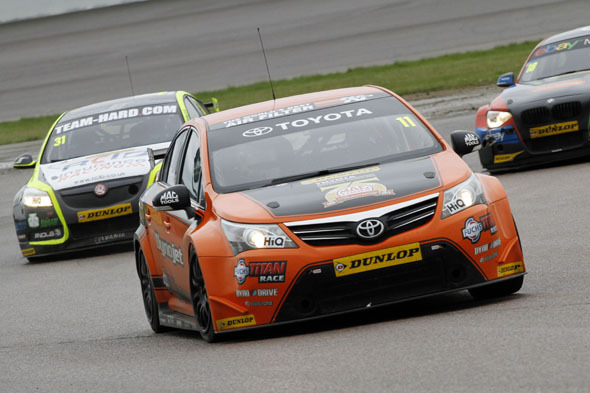 Both Newsham and Dynojet Racing driver Frank Wrathall showed top-10 pace at the Northamptonshire speedway, while Adam Morgan came close despite a number of race incidents. Inverness-based Newsham gave notice of his form and intent with a strong showing in Saturday’s qualifying: he posted a time good enough for eighth on the grid and successfully converted that to an eighth-place finish in the first of today’s three Dunlop MSA British Touring Car Championship races, which was run in wet conditions. It was drier for race two and Newsham made an excellent start to run fifth before handling issues and a braking problem cost him time; he went on to finish seventh. 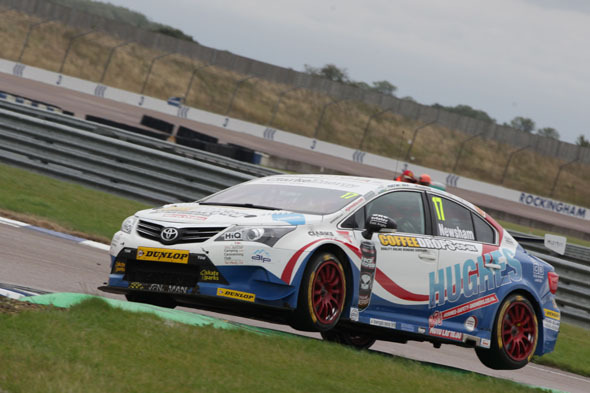 Newsham’s Speedworks team-mate Ollie Jackson finished all three races for the third BTCC meeting in succession, and netted two point-scoring finishes for his efforts. Troubled qualifying performances hampered the chances of both Adam Morgan of Ciceley Racing and Frank Wrathall of the Dynojet Racing team. Adam qualified 16th and, in the midfield melee of the opening laps of race one, was caught in another’s accident and sidelined. A back-of-grid charge to 11th place in race two was some compensation, and Adam repeated the result in race three after being knocked into a spin down the order on the opening lap. Morgan remains the best-placed Toyota driver in championship terms, with seventh place overall in the standings and third place in the Independents Trophy for drivers. It was a milestone weekend for Wrathall, Morgan and Jackson – Adam and Ollie both notched up their 50th race starts and Frank passed the 75 mark. 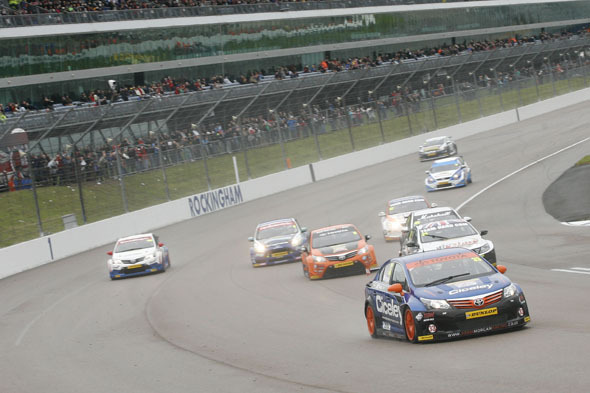 BTCC battle is rejoined in a fortnight (29 Sep) at Silverstone.